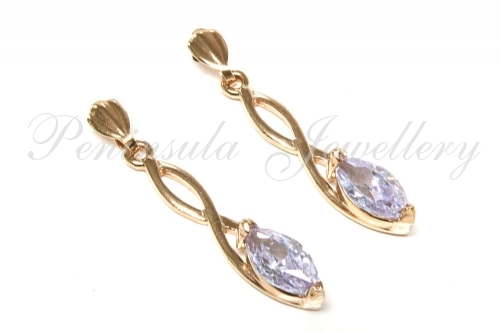 Each earring features one 8x4mm Marquise cut Lilac Cubic Zirconia gemstone with 9ct gold posts and scroll backs. 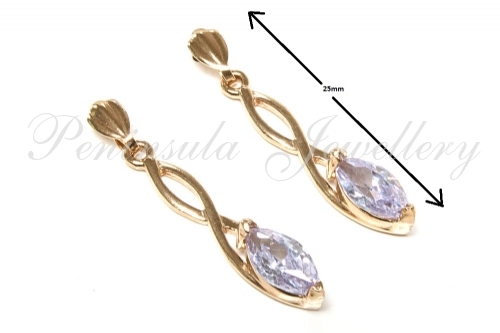 Dimensions: 4mm wide (maximum), 25mm long. Standard posts and butterfly backs in solid 9ct gold. Supplied in a luxury gift box. Made in England.